Mark and Jo recently returned from their Island Hopping trip to St Lucia, The Grenadines and Barbados – and they cannot recommend it enough! 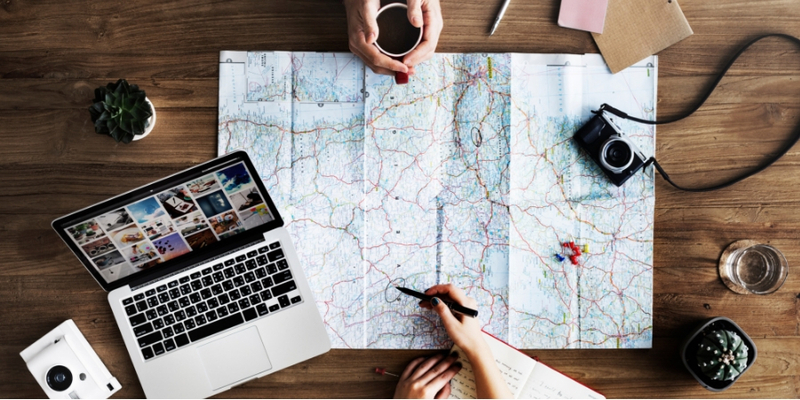 With multi-stop packages becoming increasingly popular, we share with you their itinerary so you too can repeat their trip, or be inspired to create your own. If you would like further information on any of the properties mentioned, or to discuss island hopping in the Caribbean, call us on 01752 880880 or email [email protected]. 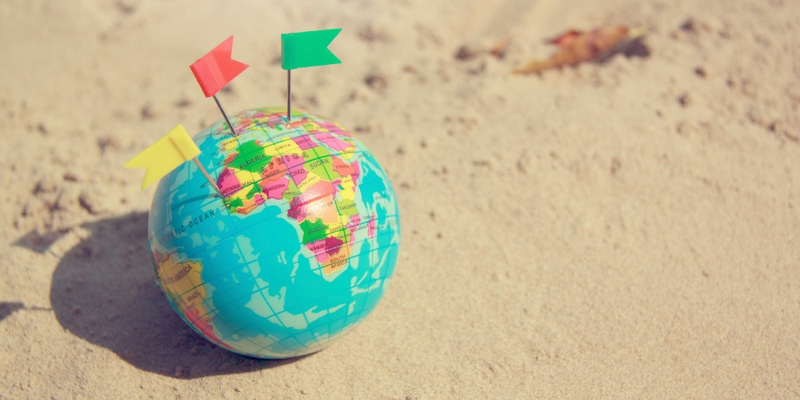 When travelling to the Caribbean, why limit yourself to one Island? This Caribbean island hopping itinerary allows you to discover the natural beauty of St Lucia, relax on the small and charming island of Canouan in The Grenadines, then experience the historical and cultural side of Barbados. 14 nights from £2999 per person including all flights, transfers and bed and breakfast. Sample price is based on travel in June 2019, staying in a standard room type and includes all current special offers. Start your trip by flying into Hewanorra Airport, where you are met by our representatives and pick up your transfer to Anse Chastanet. The hotel is roughly 1 hour 20 minutes from the airport, however if you would prefer to arrive in style, helicopter transfers are available direct to the hotels private landing pad with just a 6-minute flight time! Anse Chastanet is the perfect spot to enjoy a combination of relaxing beach time and experience the local culture. We recommend taking advantage of the complimentary snorkeling in the exceptional shallow reefs, which allow even the beginner to enjoy one of the best snorkeling and beach diving locations in the Caribbean. 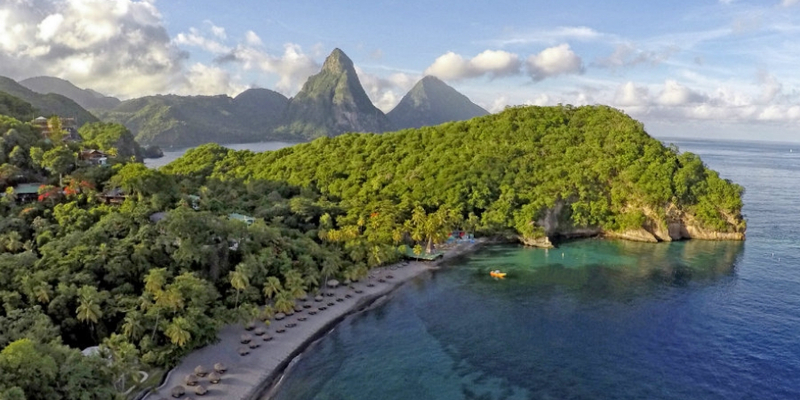 Of course, you can simply enjoy the picture postcard perfect views of the Piton Mountains too. If you’d prefer to stay on dry land, you cannot miss the opportunity to visit one of the natural wonders of St Lucia – Diamond Falls, Botanical Gardens & Mineral Baths. This 6-acre multi-award-winning site is a peaceful retreat and is described as ‘a world with a breath-taking waterfall, hot mineral springs fill the historical baths with age old medicinal waters and flora and fauna abounds’. While staying at Anse Chastanet we recommend you visit their Chocolate Laboratory. With over 2000 cocoa trees on the resort’s estate, you are not only able to taste but participate in the making of the chocolate. There are a variety of chocolate infused activities on offer such as sensory tastings, estate visits, truffle making classes and for the true chocoholic, a spa menu dedicated to chocolate treatment options. The next step of the journey sees you taking the 45 minutes flight down to Canouan Island in The Grenadines. 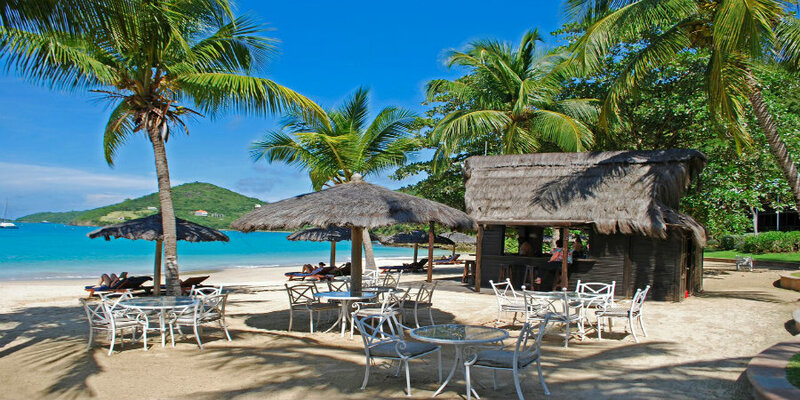 Measuring just 3 square miles, Canouan is home to Tamarind Beach Hotel and Yacht Club, an Italian owned property on one of the most beautiful beaches in the Grenadines with coral reefs and powdered white sands. This location really is the place to sit back, read, relax and enjoy a truly authentic Caribbean beach – Grand Bay. Tamarind‘s own Italian delicatessen ‘Buon Appetito’ offers a wide selection of Italian sourced cheeses and cold cuts, luxuries such as olives, caviar, pate de fois gras, bottarga, pasta sauces, olive oils, balsamic vinegars, carefully crafted preserves and melt in your mouth sweets – along with Italian wines and French champagnes. Canouan Island is a fantastic base for you to explore more of the Cays including day boat trips to the world famous Tobago Cays – uninhabited, heavenly lagoons with green turtles, colourful fish and crystal clear waters; Palm Island, Mustique and Bequia. Whilst on Canouan Island itself, you really can pick up a packed lunch and head out for the day wandering around paradise. 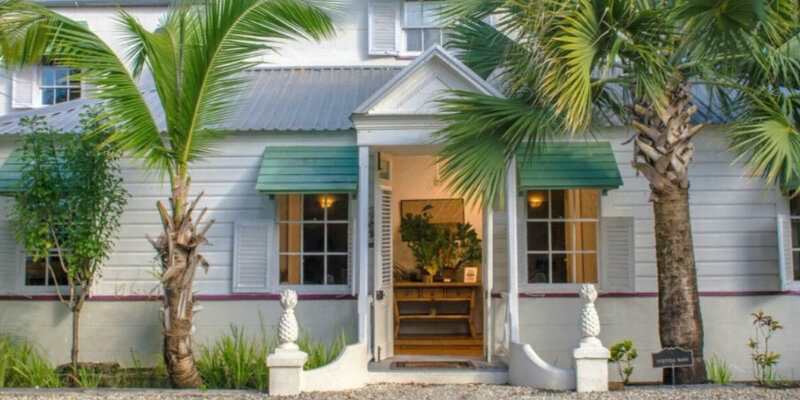 The third and final stop of this Island Hopping experience sees you heading East on a 40 minute flight onto Barbados, and the beautiful luxury boutique hotel – Sweetfield Manor. Located in the UNESCO World Heritage Site of Bridgetown and its Garrison, the former plantation house boasts panoramic views towards the coastline, pristine lawns, a koi pond, shady courtyard and lagoon-style pool landscaped to mimic a natural pond while it’s pride of 15 peacocks roam freely. Breakfast at Sweetfield Manor is an experience in itself. This 4-course gourmet affair is just as important to their head chef, as any dinner service, with dishes such as prosciutto-wrapped eggs, yoghurt martinis, grilled pineapple and lemon ricotta pancakes to name just a few. Served in a different location each day, this gourmet meal will certainly set you up for a great day. Bridgetown city centre and famous Carlisle beach are just 10 minutes away by car, however, Mark and Jo took the opportunity on this trip to join one of Chattel House Audio Tours (C.H.A.T) of the Historic Garrison and its Museum, which is described as being ideal for the historian, the curious visitor, the casual cruise visitor and anyone seeking to learn of the rich heritage that this UNESCO World Heritage Site has to offer. After 14 nights experiencing the true Caribbean it is time to return to the UK. Sample price mentioned above is based on travel in June 2019, staying in a standard room type and includes all current special offers. Conditions apply for all special offers including blackout dates, book by dates and minimum stays. Other dates available, please contact us for a tailor made quotation.